It is the festival of lights in India, and 2 of the most popular Android apps are heavily discounted for the festive season. 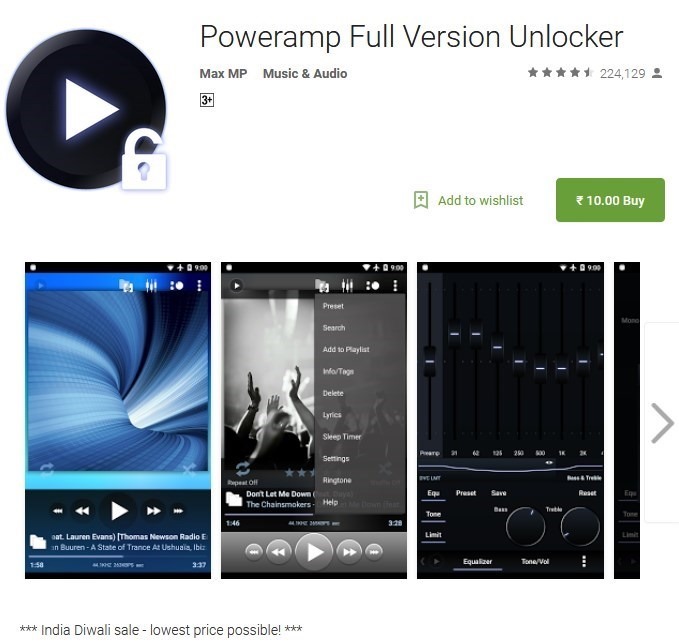 Nova Launcher Prime and Poweramp Unlocker are available for just Rs.10 in India. Nova Launcher is the best homescreen app out there, and for 10 rupees you will get the the latest features on older versions of Android, thanks to Teslacoil, the team behind Nova Launcher who backport the features. Of course, you can also use the latest Android version and still get a ton of customization options. Yesterday, we reported the app was updated to add support for Pixel 2 style Search bar below the dock, Oreo style pop-up menu and more.Nova Launcher Prime unlocks support for gesture shortcuts, unread count badges (and notification dots), icon swipe actions, hiding unused apps, custom drawer groups, extra scroll effects, etc. 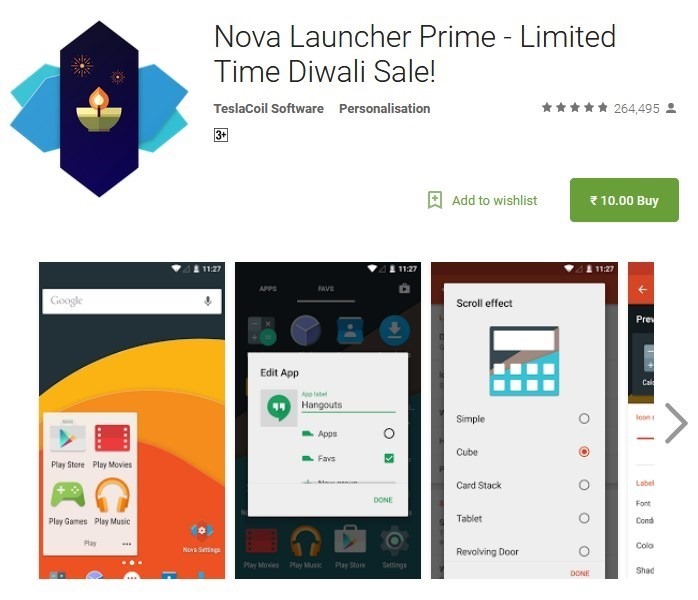 We also think the Diwali themed icon style on Nova Launcher’s Play Store listing was a nice touch. Poweramp is without a doubt the most powerful music player on Android. Sure, the UI is not pretty, but the engine that the app uses, delivers crystal clear and crisp sound. It offers you a lot of controls including crossfade, gapless playback, replay gain, 10 band equalizer, lyrics, album art (includes a download option), configurable lock screen and more. I personally like the Loud Speaker preset, which really increases the volume loudness than other apps can. I have tried almost every player out there, including other premium ones, but I always come back to Poweramp.You can use Poweramp to play mp3, mp4/m4a, alac, ogg, wma, flac, wav, ape, wv, tta, mpc, aiff formats, and for m3u, m3u8, pls, wpl playlists. You can download a theme or skin for the app to make it look better. Buy Nova Launcher Prime and Poweramp Unlocker for Rs.10 each, from the Google Play Store. If you don't have a debit card which can be used with Google Play, you can use your netbanking account. You can follow our guide to help you with that. If you don't want to, you can go to Paytm, buy Google Play credits for any amount, and redeem it on the Play Store app, and buy the 2 apps. Geekiest wishes you a Happy Diwali.